It is a relatively new technology that allows imaging of the interior of the body without using x-rays or other types of ionizing radiation. 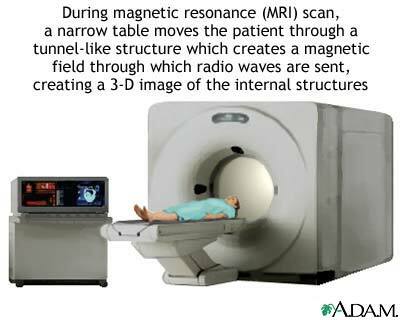 An MRI scan is capable of showing fine detail of different tissues. Its use is rapidly increasing while the use of standard x-rays is decreasing. Reviewed By: Jeffrey J. Brown, MD FACR, Mallinckrodt Institute of Radiology, Washington University School of Medicine, St. Louis, MO. Review provided by VeriMed Healthcare Network.